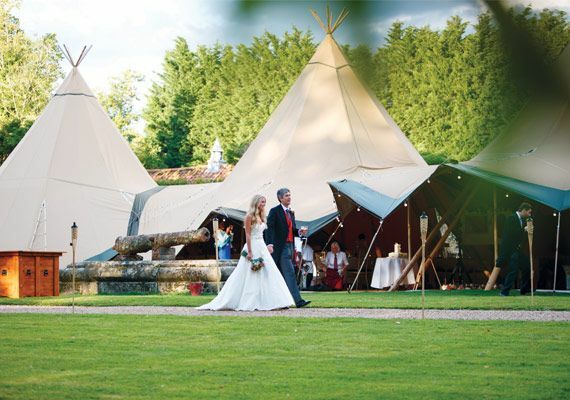 Our tipis and sailcloth tents are ideal for festival style weddings, bohemian weddings, woodland weddings, winter weddings and many more beautiful themes for your nuptials. Our service is always bespoke and we can work closely with you to bring your wedding to life. 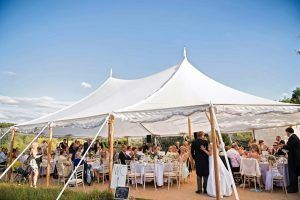 The flexible nature of our tipis and sailcloth tents means that any number of guests can be accommodated whether you have 50 or 500 guests. We work throughout Essex, Norfolk, Suffolk & Cambridgeshire and can even help you find a venue for your wedding. 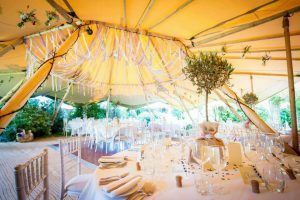 Tipis and sailcloth tents are a joy to decorate as their natural colours and materials lend themselves so well to simple and inexpensive decor. Follow our Pinterest page for some inspiration! Events Under Canvas provided us with an amazing service, and added that festival style quality to our wedding day.